I am not going to lie to you, I hate cleaning. I do it, but it’s not my favorite thing to do. I have a list of things I would rather do than clean. I am also horrible at sweeping. I think it’s a left-handed thing. I am not sure but I have trouble getting all the dirt and crumbs up with the dust pan. I don’t even use a broom anymore in some of the rooms. In my kitchen, I use my vacuum on the floors. Of course, there is always a rouge LEGO left over from Noah’s latest creation or from a kitty who thinks they are their toys. After I have Noah pick up his random toys off the kitchen floor, I vacuum. My vacuum has a hard floor setting and it saves so much time. There’s no more piles of dirt for boys to trample through. My kitties are boys too. Normally after someone sweeps they mop. It’s such a pain to mop. I have ended up with spilled water. I always wondered how clean the water really is. I mean you are putting the dirty mop in the water after all. You must replace them because the spongy part gets worn down, I ended up throwing away my mop and forgetting to buy a new one. I ended up mopping with a bucket of water and a sponge on my hands and knees. I have a cat with stomach troubles, so not having a real mop was a problem. Before I had a chance to get a new one, I had the opportunity to work with Shark. Shark makes great products. They have really made floor care a breeze. I receive the Shark Genius Pocket Mop. It couldn’t have come at a better time. The Shark Genius Pocket Mop is so easy to use. You don't even have to push hard. It just glides across the floor. I love that I am not straining my back while I am mopping. It cleans the floor really well. It uses only water that is turned in to steam. You don't have to buy cleaners. It's also safer for your family and pets. The wide pad helps you mop faster. I love the double sided head that gives you more cleaning area. It's so easy Noah can do it. I really like that I don't have to touch the nasty and hot cleaning pad. I have messy kittens so my hands don't even come in contact with the pad. I can put it straight in the washer. 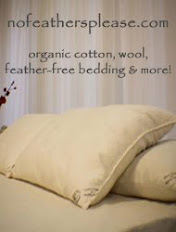 The pads are reusable and machine washable. It's really something I will use all the time. If you have ever been on your hands and knees scrubbing the floor you will especially like the Steam blaster technology. It blasts the stain away. Sometimes kids forget to tell us when they spill something so it can dry and it makes it harder to remove. With the Steam Blast technology you press the button it shoots a stream of water and the stain breaks down and you just mop it up. 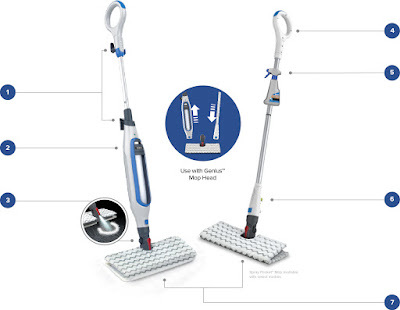 The Shark Genius Pocket Mop is a must have for every family especially if you have pets. It makes my life so much easier. For more information please visit the Shark Website.